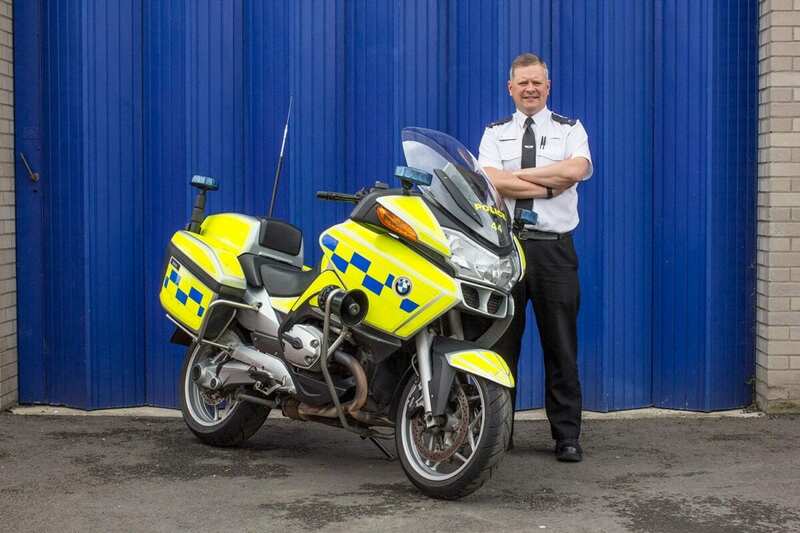 PC Simon Burgin is a Forensic Collision Investigator, Bike Safe Lead for Cambridgeshire and advanced Police motorcyclist. 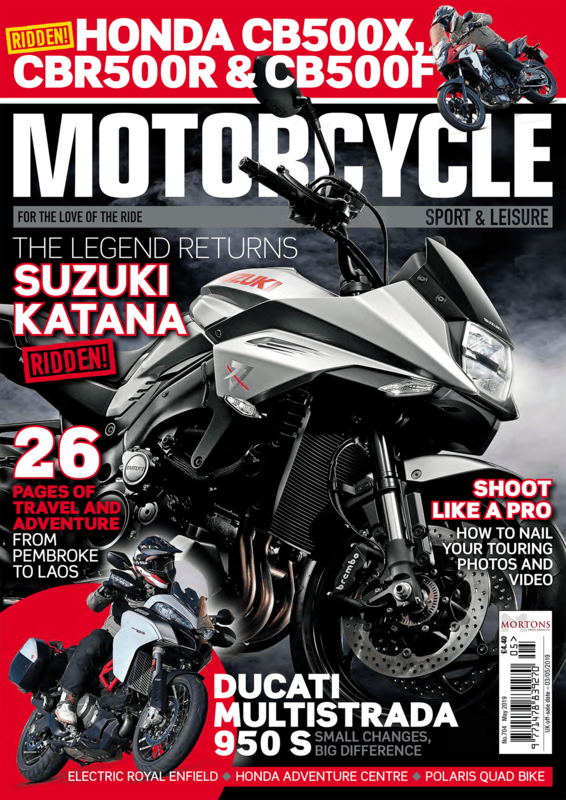 He rides 13,000 miles a year on his Suzuki GSX1250F, and in excess of 20,000 miles on his Police BMW. He started riding an RM50 at four, and has never had a crash. Or a puncture. “The most important thing is observation skills; if you’re looking far enough down the road, you can plan ahead for all the things that are going to affect your course, speed and position. There’s no secret to it. Police officers aren’t fast because they’re breaking the speed limit, but because they’re always planning ahead. “A lot of riders sit right behind cars, when actually if they sat back, they could see further down the road. If you can see that in 600m the lights are red, roll off a bit, select a low gear and keep your feet on the pegs; chances are that by the time you reach them the lights will have gone through their phase and you’re on your way. “Get your eyes up and looking along the road a good distance ahead – that’s your ‘main beam’ view – but also use a ‘dipped beam’ view. There’s always gravel and rubbish on the roads, so keep your eyes moving. You’ve seen what the road holds ahead, so when you look nearer and see the gravel, you’re already in a position to ride towards a clear area – looking at where you want to go, not the hazard. A country road might look fairly straight if you only look half a mile down it, but pull your sight closer and you’ll spot the hidden S-bend. “People sometimes say we’re daft to ride in the gutter with all the pot holes and gravel, but it all comes back to the main and dip beam views. If the edge of the road is clear, then yes, we use it all, but not if it’s full of rubbish. “The golden rule is that you must of course be able to stop in the distance you can see to be clear on your side of the road, but think about county boundaries too. Councils cover the road with hot tar, then throw a load of shingle over it. They no longer sweep it, waiting for it to be rolled in instead. We crossed from Essex to Cambridgeshire recently, and suddenly the road was covered in shingle. Different counties also use different levels of signage – where one might paint ‘slow’ on the road, give several ‘tight bend’ signs, and a large chevron banner at the corner, the next similar bend, in a different county, might just have a single warning sign. When you see the sign saying “Welcome to wherever”, give yourself a few miles to get used to how that county manages its roads. ou can learn a lot on a superb value Bike Safe course; I’ve been twice, and loved it. John (editor). Book at www.bikesafe.co.uk or call 08444 151206.